Who was William Benjamin Carpenter and what was he famous for? He was a famous British physician who was born in England. Benjamin was born in Exeter, England in 1813. He was the eldest son of Dr Lant Carpenter who was an important Unitarian preacher, who influenced a “rising generation of Unitarian intellectuals, including James Martineau and the Westminster Review’s John Bowring. He was one of the most eminent physiologists in Britain during the mid-century. In person, he was average heighted person, of quiet and somewhat formal manner who was spare, keen-eyed, and tenacious-looking. Benjamin education started at Bristol Medical School, he was a medical student. He also attended the Middlesex Hospital for some time. After obtaining the Surgeons’ and Apothecaries’ diplomas in 1835 he went to the Edinburgh Medical School and commenced researches on physiology. Later he studied at University College London in 1834 and then went to the University of Edinburgh in 1835 where he received an LL.D. Talking about his achievements starting from his graduation he received appreciation for his work. He won a gold medal for his graduation thesis on the nervous system of invertebrates, whereby he started his carrier and launched his first book. This was the time when his works started to get recognized. His career was not only limited to being a physician, he has opted a lot of choices in his carrier , by occupation he was Physiologist, neurologist, naturalist. He never stopped writing though. His professions never came in between his love for writing. In 1845, he was appointment as Fullerian Professor of Physiology at the Royal Institution which made him enter a new avenue of his carrier that was teaching, lectureship. He was also appointed lecturer on physiology at the London Hospital, and professor of forensic medicine at University College. He was also for some years examiner in physiology and comparative anatomy at the University of London, and Swiney lecturer on geology at the British Museum. He use to deliver great lecturer on scientific subjects, and organised the Gilchrist scheme of popular science lectures, which has been of great value in spreading sound scientific knowledge and awakening interest in science among the working classes. William Benjamin was a man of talent, he never stopped at one thing. He explored his different talents throughout his life. He was a powerful spokesperson, investigator, author, editor, and demonstrator. But as it is said one cant excel all fields, he tried a lot of things in which he was good but excelled in the field of research specifically researches in marine zoology, notably in the “lower” organisms, as Foraminifera and Crinoids. William Benjamin also received a lot of recognition as a writer. Writing was not only his passion, but later in his life he made it his profession too. William Benjamin books were quite famous that time. William Benjamin as a writer was more known that his any other profession. His most notable work is The Use and Abuse of Alcoholic Liquors in Health and Disease which was launched in1850. Its first edition was published in London by Charles Gilpin. It was one of the first temperance books which promoted the fact that alcoholism is a disease. William Benjamin as a naturalist. He was one of the last examples of an almost universal naturalist. He has done a lot of contribution to the field of zoology. He commenced various inquiries into the microscopic structure of shells which were later followed by a set of four memoirs in the ‘Philosophical Transactions on the foraminifera. 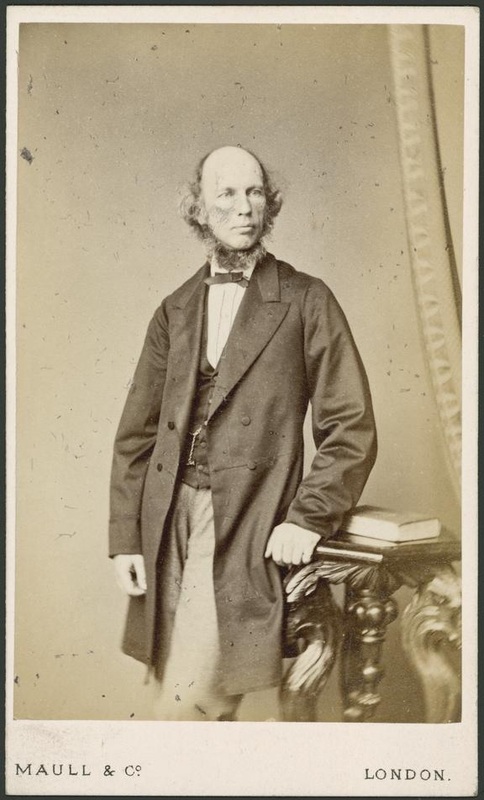 His most prominent zoological contributions were related to the question of the animal nature of Eozoön canadense, as found in masses in the Laurentian rocks of Canada on which he contributed various papers also. His zoological and botanical and other contributions to the ‘Cyclopædia of Science’ were afterwards published in separate volumes in Bohn’s ‘Scientific Library. ‘His contributions to physiology were primarily to the mental and the physical aspects of the science. William Benjamin also explored the field of physics. He developed the doctrine of a general oceanic circulation, due largely to heat, cold, and evaporation, which had been previously little suspected. His other famous works in the field of physics are contained in the ‘Royal Society’s Proceedings. William Benjamin the great artist, the master of many fields has received great honor and recognition during his lifetime. He received a prize for an essay ‘On the Use and Abuse of Alcoholic Liquors’ in (1850). His constant enthusiasm for work and his interest in the field of science made him fetch numerous marks of high distinction, including a royal medal of the Royal Society (1861), the Lyell medal of the Geological Society (1883), the LL.D. of Edinburgh (1871), the presidency of the British Association (1872), and the corresponding membership of the Institute of France (1873).